Cosmic Encounter could more appropriately be named, "The Star Wars Store," because that's exactly the category of merchandise you'll find here. You can find small action figures of all of the major Star Wars characters, plus Darth Vader masks and a variety of Star Wars t-shirts. 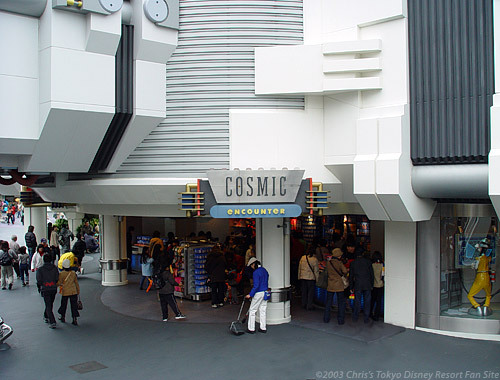 Cosmic Encounter is appropriately located right across from Star Tours.